New Hope has access to an extensive, new video library called RightNow Media! It’s like the "Netflix of Video Bible Studies" and has a HUGE library of faith-based videos that you can access whenever and wherever you want—on your phone, iPad, computer, or at home on your TV. New Hope is always seeking resources to help you develop and strengthen your faith. 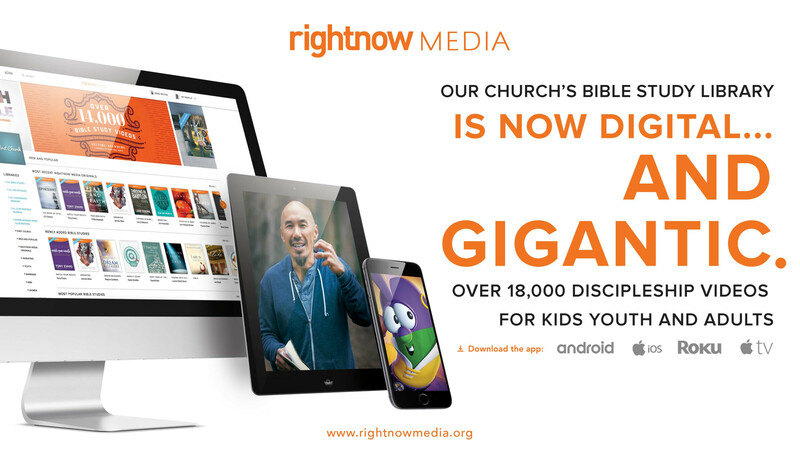 We believe that RightNow Media will be a tool to serve you as you live out your faith at home, at work and in your neighborhood. RightNow Media has videos for everyone—kids, youth, parents, married couples, college students, single adults, working professionals—all aimed at helping you grow. To access these resources, click here, where you will be directed to set up your profile. Once completed, you’re all set to explore more than 12,000 videos. We pray that RightNow Media will be a blessing for you and your family!